A family in Leleshwa village, Ol Moran area of Laikipia is mourning the death of their son who mauled to death by a hyena. 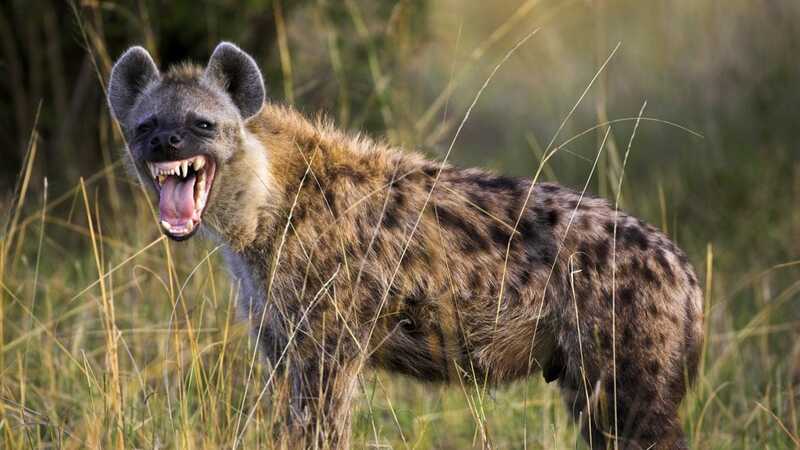 The 12-year old boy was killed as the parents and neighbors watched helplessly when a rogue hyena tore the boy to pieces. The parents who tried to wave the hyena away using all the weapons they had, retreated after the beast also attacked them, leaving them with severe injuries. They were later admitted at Nyahururu County Referral Hospital. According to the boy’s aunt, the boy was getting ready to go to school when the roaming beast entered their house and mauled him at about 5 am. “On hearing his child cry, his father who was at the time asleep woke up to defend him. The child’s mother who was in the kitchen preparing breakfast could also come to give help,” she explained. Narrating the horrific incident, one Edward Chege expressed: “Villagers answered to distress calls and would hit the animal but it kept charging at them with jaws dripping human blood. “The people then retreated giving animal a chance to dig its jaws back in the boy who kept screaming,” he added. Upon hearing the unfortunate news, Kenya Wildlife Service (KWS) warden in charge of Laikipia West, Mohammed Madela, visited the family and consoled them. He later revealed to journalists that the attack could be attributed to a recent fire at the Laikipia Nature Conservancy for driving wild animals out of the conservancy into human settlement. “The animals are now living in Lariak forest, a kilometer from the home of the victims,” he stated. Madela added that in the past week he has been receiving reports of wild animals from the conservancy roaming in the villages after the fire incident. He added that officers have been deployed in the area to relocate the stray animals back to the parks.